It is how I feel, but a bit less melodramatic today. No, it is not Wrist to Forehead Tuesday. It is in the nature of a blogger’s day off, because I am too sad and distressed to make a proper post. However, I think if I put a few of my thoughts down, it will make me feel better. 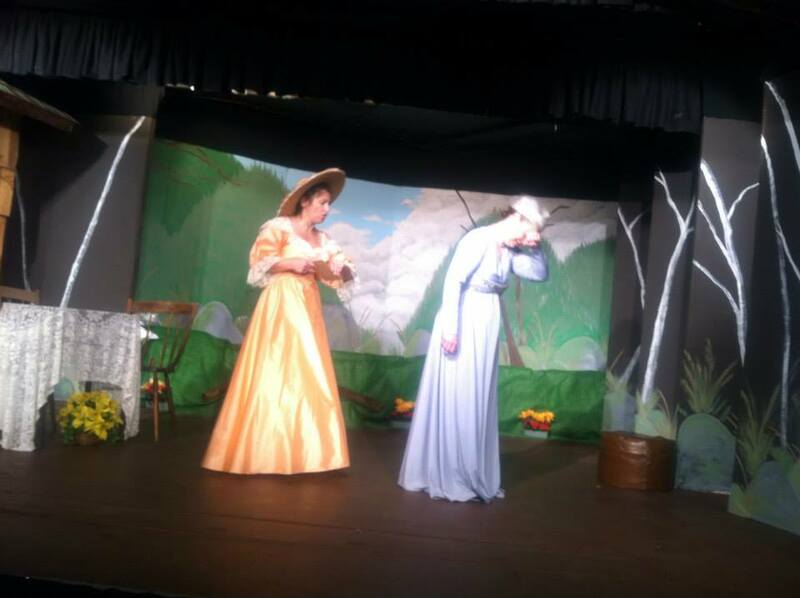 Community theatre lost a great asset, and I lost a friend today with the passing of Ilion resident Julianne Allen. I am profoundly shocked as well as saddened, because she was about my age (you know, not ancient) and not sick that I knew of. 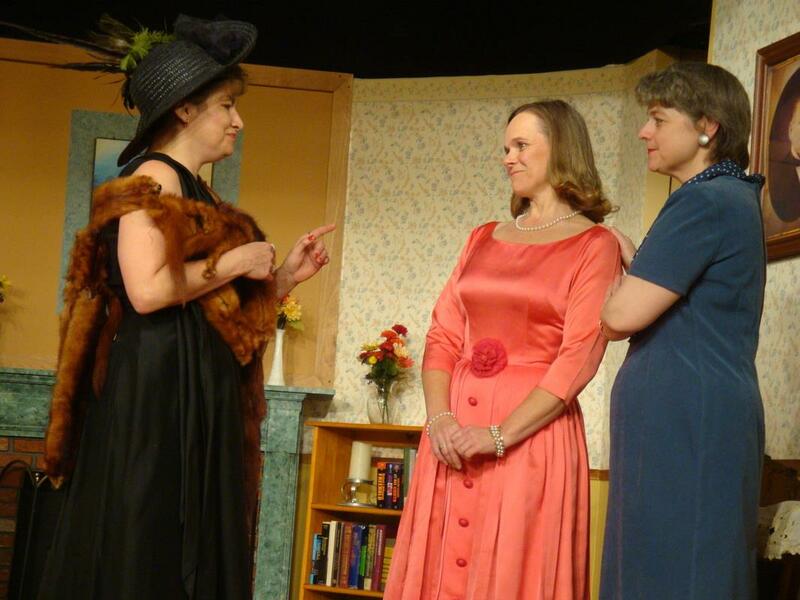 The above picture is from our dramatic scene together in Dirty Work at the Crossroads at Ilion Little Theatre in 2013. My husband, Steven, directed. Julianne and I worked on several productions together, and she worked on many more that I was not involved in but enjoyed watching. She was always willing to do what she could and what was needed. In fact, in Shattered Angel, she took a part that was originally written for a man. Director and writer Stephen Wagner originally cut the part but then decided to change the role to the man’s wife and cast Julie. It was going to be a great bit of comic relief, because Stephen was really utilizing Julie’s attitude. At her first rehearsal, she was already showing us the attitude. Julie on the left, me on the right, ILT president Kelly Stone in the middle. Just to end with another picture including me, here we are in Harvey from 2012. Rest in Peace, Julie. I hope you’re putting on a great show for the angels. 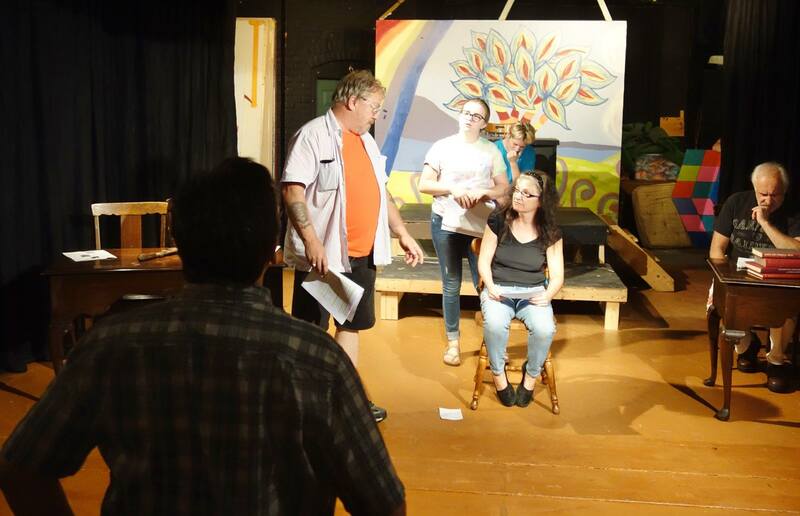 Posted in personal, Uncategorized and tagged blog post, community theatre, Ilion Little Theatre, Julianne Allen, passing of a friend, sadness. Bookmark the permalink.